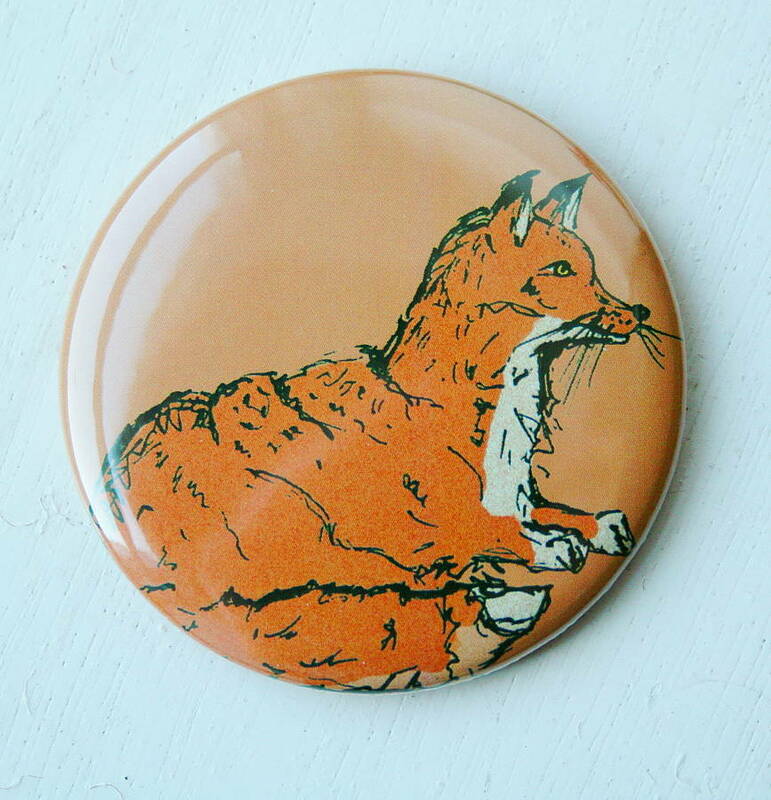 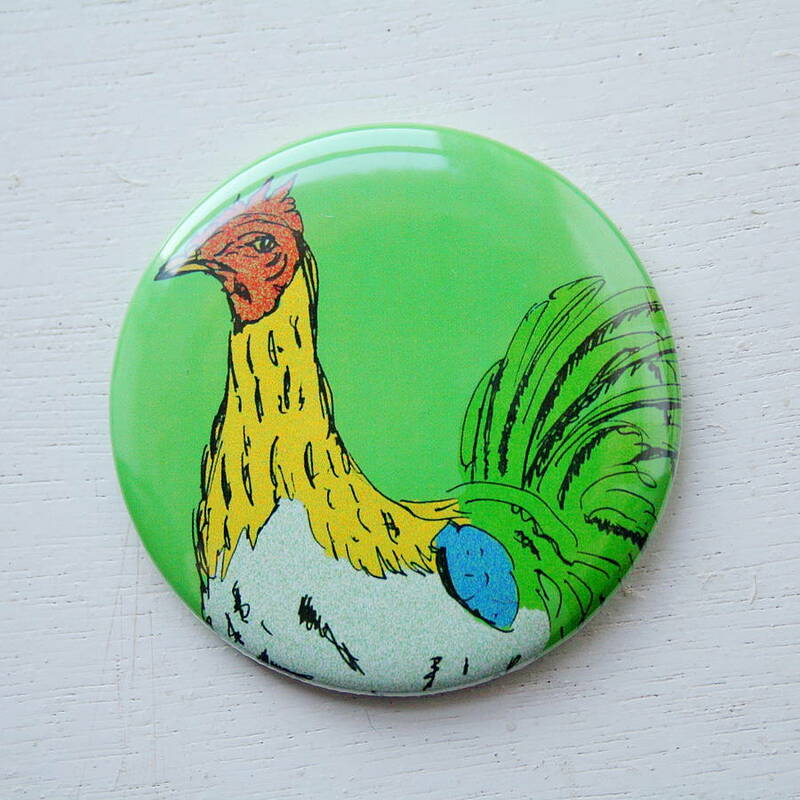 Ensure your whiskers are never out of place again, with a delightful pocket mirror, featuring an original drawing of Fox, Pig, Goose, or Cockerel. 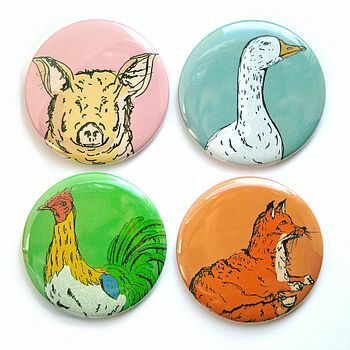 A black ink illustration - Fox on an orange background, Pig on a pink background, Goose on a turquoise background or Cockerel on a green background - is shown on the front. 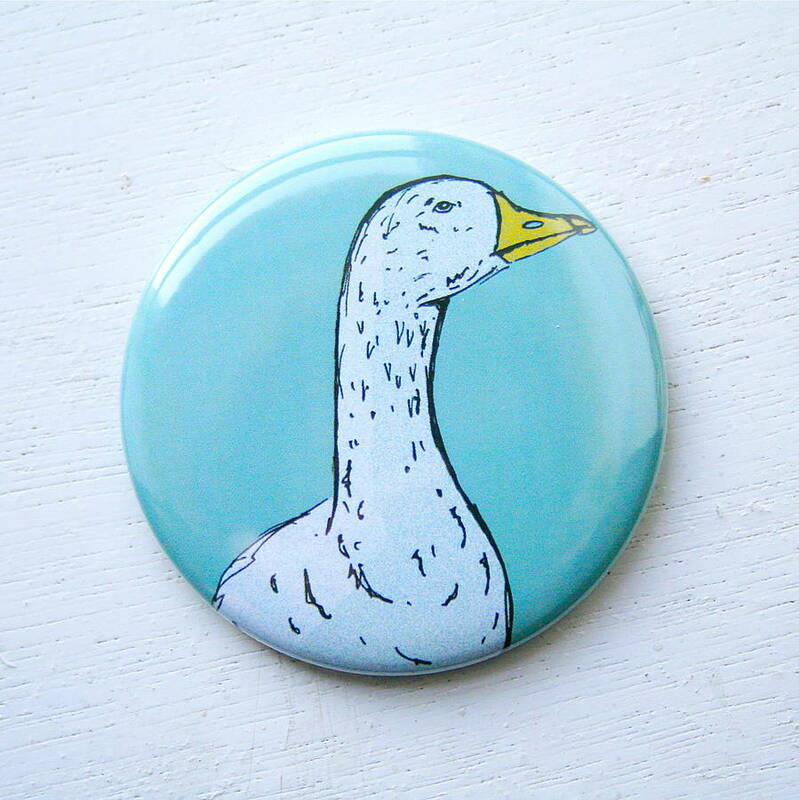 On the other side is a shiny glass mirror. 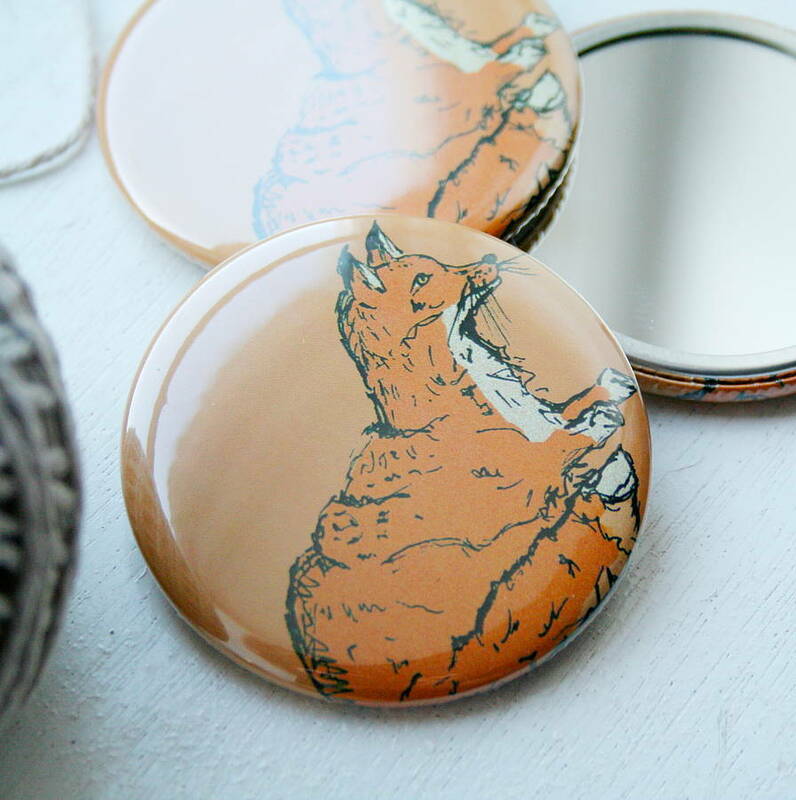 Inspired by the British countryside, these woodland pocket mirrors fit easily into a hand bag or purse, and are perfect for preening feathers and cleaning whiskers while out on adventures. 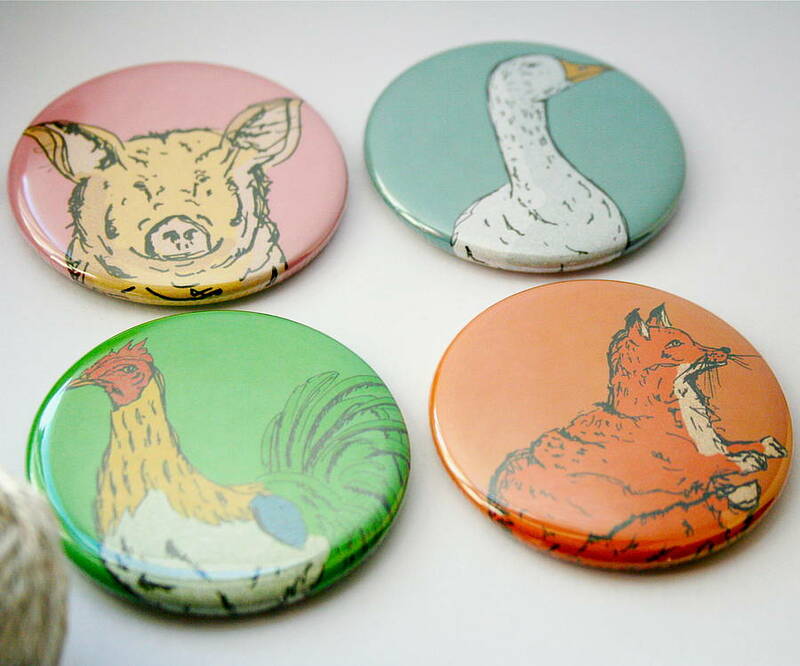 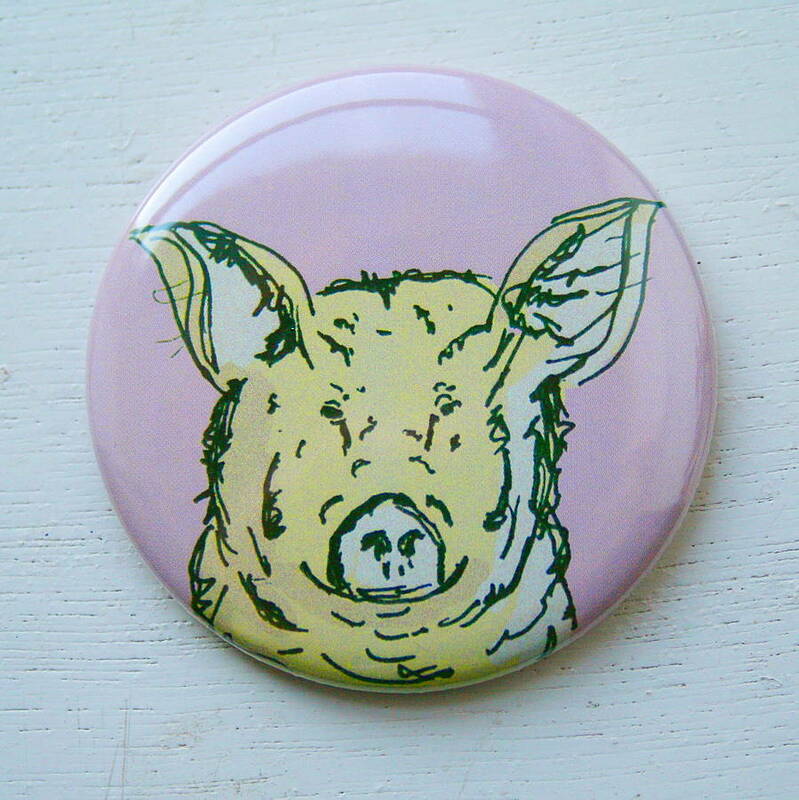 Choose from four designs - Fox, Pig, Goose, Cockerel - or get the complete set! 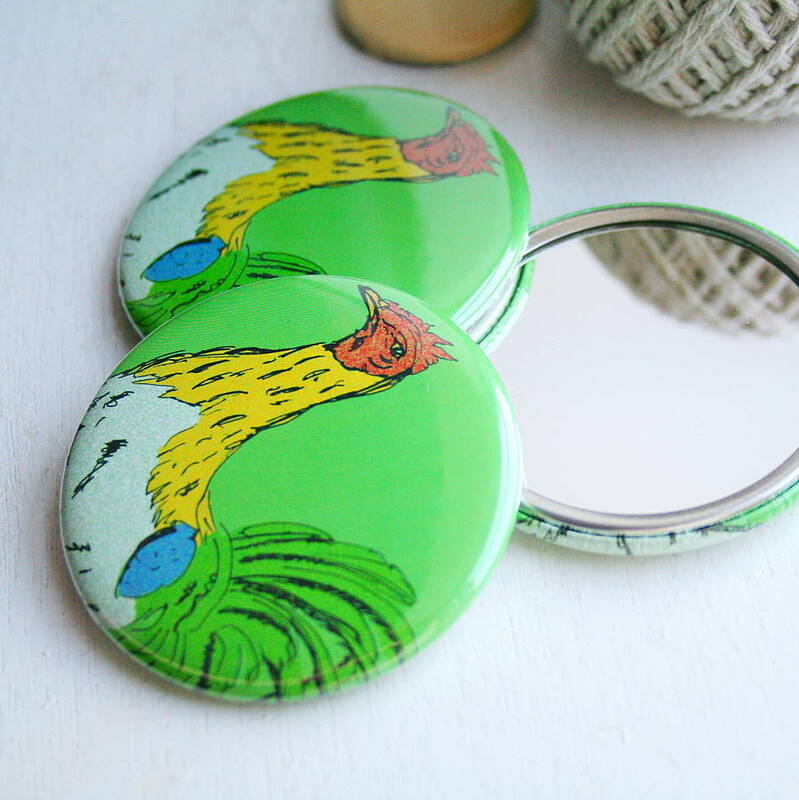 The product consists of mirror glass and a beautiful full colour, pressed image from my original illustration. 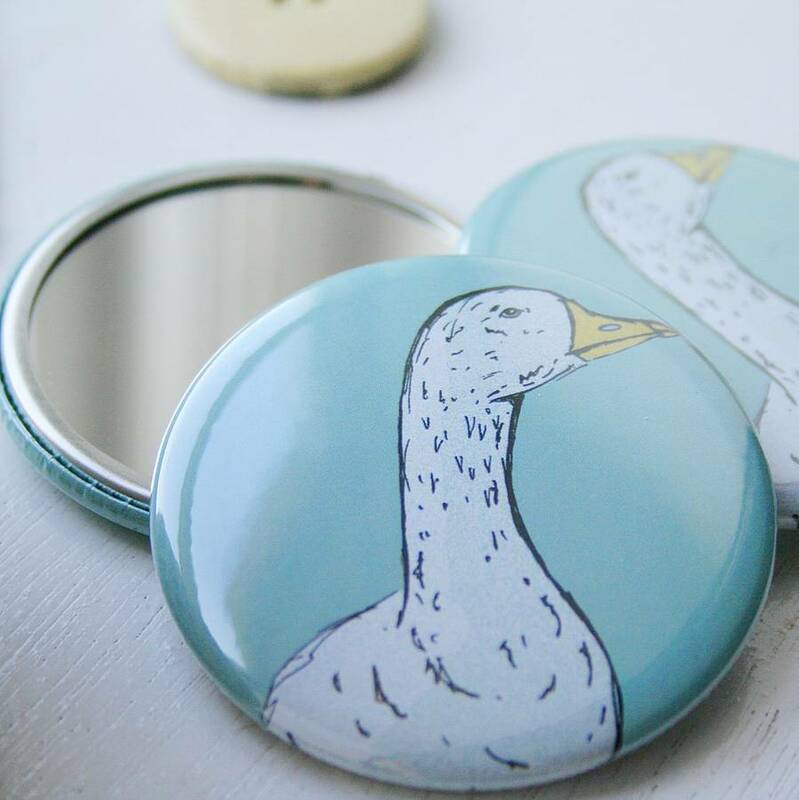 The mirror will come beautifully packaged, snug and safe, in bubble wrap within a brown paper bag, stamped with the Great & Small logo, and tied with string. 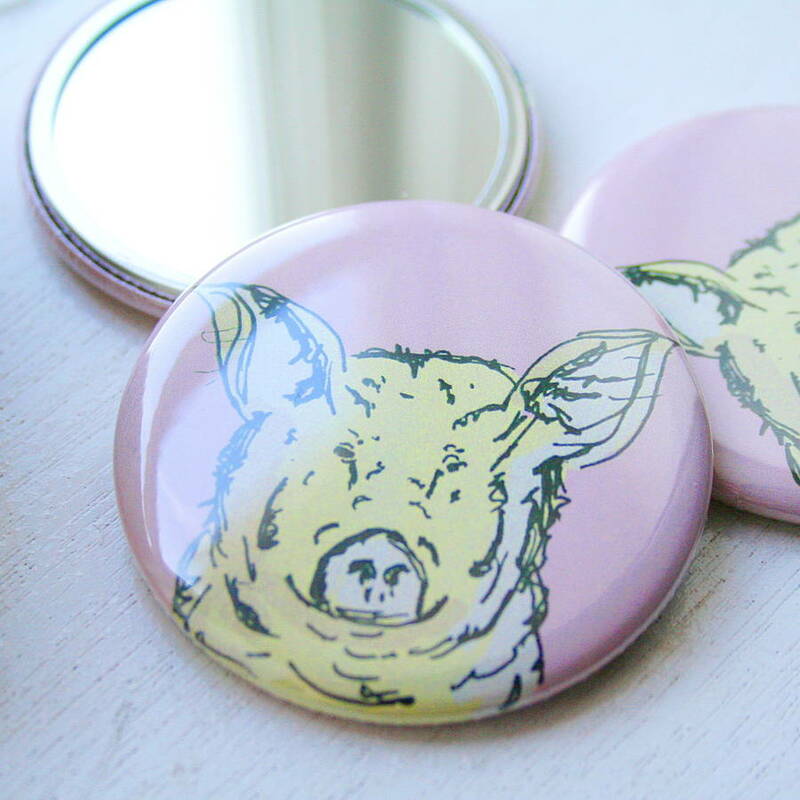 Each pocket mirror has a diameter of 5.8cm.